After graduating from high school, Katherine Cloward and I worked at Yellowstone Park for the summer. While we were there, I received word that our home had burned to the ground and everything we owned was lost! This was devastating news! I was registered to attend Utah State University, but had to delay because we had nothing left after the fire. I attended Snow College, because it started later on in the year which gave me more time to gather clothing, etc. I enjoyed my time there. I was a varsity cheerleader and loved making new friends! I married in 1966, and later divorced .I raised my children myself and worked 3 jobs at a time trying to survive and care for my precious children. I'm the mother of five married children, and “grandma” to 23 grandchildren. I will become a great grandma in November! After I became single, I served as Fireside Coordinator for Spanish Fork Region for 5 years. And later, I was called to serve as UVSA Multi-Region Fireside Coordinator for another 5 years planning weekly firesides for the single adults. We averaged between 2-300 singles for each fireside, held at 4 different locations throughout the valley from Lehi to Nephi. I also had to plan for Singles Conference firesides held at the Marriott Center at BYU (approximately 10,000 attendees). I loved these callings however, it was very challenging to plan constantly for so many years while trying to raise 5 children! I had to line up speakers, music, refreshments, baby sitters, etc. CRAZY!!! I have always loved music but could never read it! It was easier to teach myself to play by ear. So, I learned to play the piano, organ, banjo and drums. I played in several country/soft rock bands for many years, playing banjo and singing back-up. We played all over performing for dances, clubs, city events, funerals, county and state fairs. It was such a blast to jam out with the guys in the bands. Loved it!!! I worked 14 years at NuSkin in compliance, working closely with the legal department. For the past few years, I helped co-found Agel Enterprises with my sons, where I worked as Director of Human Resources, and Director of Administrative Services. I am currently on the ground floor launching Epic Global with my sons. I am working as Director of Human Resources, and Office Manager. However, my favorite responsibilities are keeping the employees and visitors happy with office parties, and employee recognition! I enjoy spending time with family and friends. And when I have time, I love to travel and meet new friends all over the world whenever possible! I have been able to visit many places such as: Japan, Italy, France, Spain, Monaco, The Vatican, Mexico, Canada, Nassau, Atlantis, the Bahamas, going on a Royal Caribbean Cruise and European Cruise. I've also been able to visit Maui, Hawaii, and travel from California to New York and Florida and many of the states in-between. I've been able to visit many historical sites all over the world. I have cherished every minute of it! One of the most favorite places to visit was Japan. We saw so many fun things! We visited the Kinkakuji (Golden Pavilion) in Kyoto, Japan. Also, spending Christmas and New Year's Eve in Osaka, Japan was so exciting! We could hear bells chiming throughout the city at night, while standing on the balcony of the 23rd floor of my son's apartment overlooking the city. Beautiful! However, my very most favorite place was the Temple Expiatori De La Sagrada / Familia Gaudi in Barcelona, Spain. This was truly amazing!!! I would LOVE to go back for another visit. I helped launch two of the largest and fastest growing network marketing companies worldwide. I am currently on the ground floor launching Epic (a new sister company of eCosway.) I am working as Director of Human Resources, and Office Manager. My son Glen is the CEO & Founder of Epic. My son Brent is the president. However, my favorite responsibilities are keeping the employees and visitors happy with office parties, and employee recognition! I enjoy working with my sons. it has been one of my greatest joys in watching them become the great men they are. 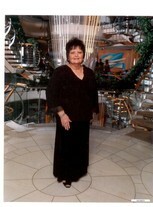 Gloria Hartvigsen Jensen updated her profile. View. Gloria Hartvigsen Jensen has a birthday today. Gloria Hartvigsen Jensen joined via Class Connection Facebook app. Gloria Hartvigsen Jensen changed her profile picture. New comment added.